We offer these words of worship to You. Oh, how our souls praise You. How our spirits rejoice in You! and many call us blessed. You have done great things for us. to all who fear You. Your mighty arm has done tremendous things! You have scattered the proud and haughty ones. I bring my sacrifices of praise before Your throne. We seek the mercy You promised. Please crush the enemy in me. I rest in silence before Your throne, releasing my guilt and embracing light and new birth. As I prepare to return into the world, I sing this hymn as a reminder that we serve a triumphant Master who is on our side. Now, I stand and go forth under Your reign. “It Came Upon the Midnight Clear” by Edumnd H. Sears. All passages are quoted or adapted from the New Living Translation. “Hark the Herald Angels Sing” by Charles Wesley. 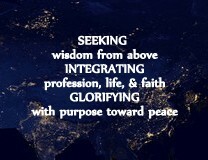 This entry was posted on December 19, 2018 by LEAPAsia in hope, joy, light, new birth, teacher lectionary.